I love cruising because it’s a complete vacation package all rolled into one! You can practically go anywhere and do anything – it’s the perfect vacation for a gal like me! 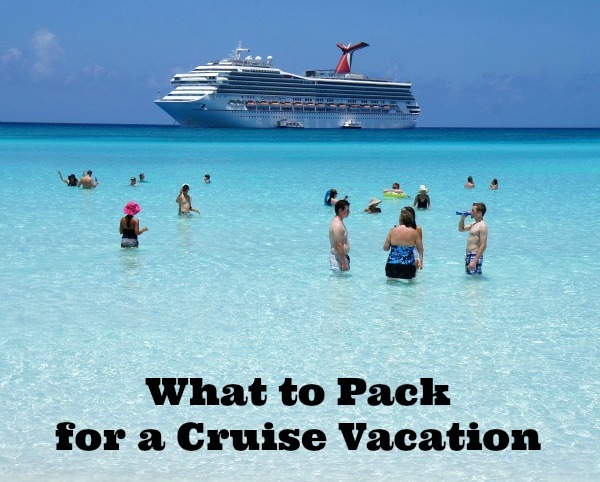 After you decide which cruise to take and book your shore excursions, it’s time to figure out what to pack for a cruise vacation. I thought I’d share my own personal travel packing list when I book cruises to help you with your packing! 1. Bring More Sunscreen Than You Think You’ll Need. If you’re taking a cruise, you’ll likely spend a lot of time in the sun. Whether it’s by the pool, hanging out by the bar, or on shore excursions, cruises are very sun-filled vacations! For a week-long cruise or less, you should pack at least one bottle of sunscreen for each person. If you plan to sit by the pool all day long, every day, then bring more. Always bring more sunscreen than you think you’ll need – if you run out, it’s more expensive on the ship that it is as the drugstores at home! 2. Bring Your Own Toiletries. I have cruised with Carnival Cruise Lines and Norwegian Cruise Lines, and they both provide travel sized toothpaste, small hand soaps and shampoo in the staterooms. However, the shampoo is not of high quality and it always dries my hair out. You want to look and feel good while on vacation, so bring your own toiletries so that you aren’t running around with your hair a hot mess for the whole vacation. 3. Pack a Lightweight Sweater or Pashmina For Chilly Nights. Unless you’ve spent a lot of time on the water, you may not realize how chilly it can be out on the ocean at night. It can be downright cold, even during the summer. The restaurants are also a bit chilly in the evenings and I always pack a pashmina to throw over my shoulders on a cruise. A lightweight cardigan would also be perfect! 4. Bring Nice Clothes for Formal Night! Every cruise has different dress codes, but I think it’s pretty safe to say that your cruise will have at least one formal evening, when you’re required to dress up to dine in the restaurants. Check your itinerary before packing to see how many you have. On our last cruise, we had two formal evenings. How formal is formal? Well, as formal as you’d like. 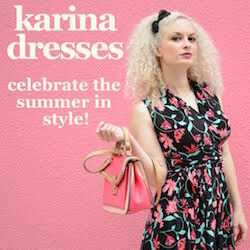 You can wear a cocktail dress or a ball gown, it’s up to you! And guys, you can wear a tuxedo or khakis and a button down shirt, totally your call. 5. Bring extra bathing suits! While you can certainly use the laundry facilities (for a fee) to dry your bathing suit, it’s a wise move to bring along more than one bathing suit, as they never dry quite as quickly as you think they will. 6. Bring Medications for Upset Stomach and Motion Sickness! Even if you don’t normally suffer from motion sickness, it’s always best to bring along motion sickness medication. Just in case. I don’t ordinarily get sea sick, but if the waters are extremely rough, I know that I’ll end up spending the evening praying to the porcelain god (re: throwing up in the bathroom all night). I also recommend bringing along medication for both constipation and diarrhea (something like Pepto Bismal and a laxative), as with all of the different types of food you have available in both the restaurants on the cruise ship and at your ports of call, you could likely find yourself not digesting your meals properly. Best to be prepared than find yourself running down to the medical center to find it closed in the middle of the night! 7. Bring an Underwater Camera! 8. Bring Appropriate Shoes for Shore Excursions. Check the details of your shore excursions before you pack for your cruise. Many outdoor adventures require closed toed shoes – like the zip line excursion we booked for San Juan, Puerto Rico! I’d left my sneakers at home and had to buy a pair of water shoes at one of our ports of call in order to be able to go on the zip line courses.